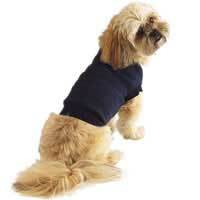 Top-quality Sweatshirts have ribbed cuffs and necks for comfort and easy fit. Made of 100% polyester, the sweatshirts are machine washable in cold water. Sweatshirt should fit to dog's midriff.